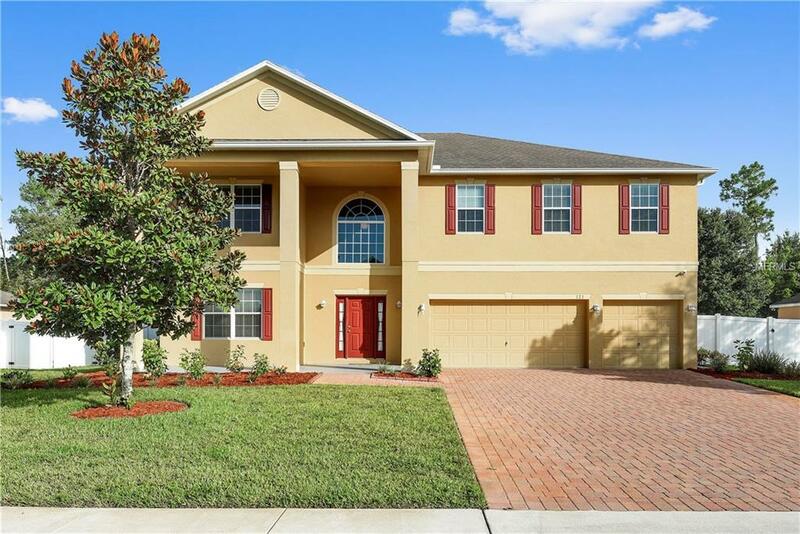 One or more photo(s) has been virtually stagedYou'll love this gorgeous 2-story home located just 3 miles from downtown DeLand. The home features 6 bedrooms, 4.5 bathroom with a 3-stall garage. There is a bedroom with attached bath on 1st floor. 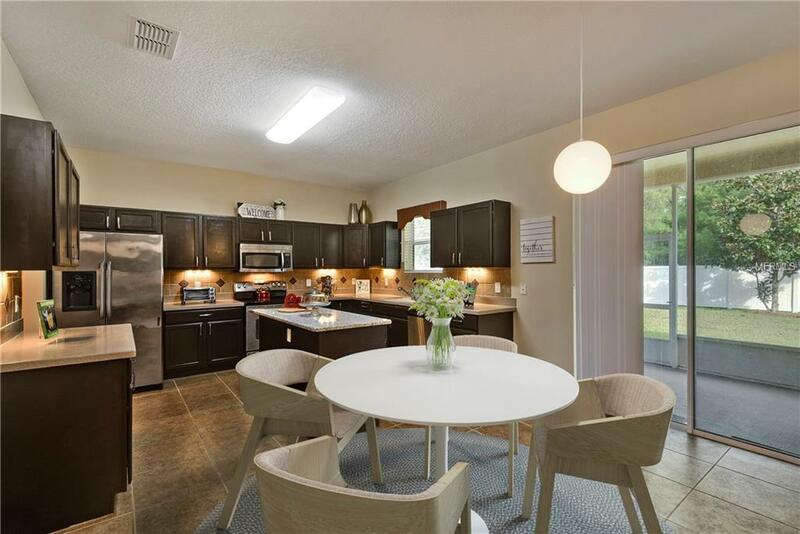 This amazing home showcases a spacious kitchen with island. A built-in pantry will make cooking a breeze, and adjoining powder room is convenient for hosting guests. 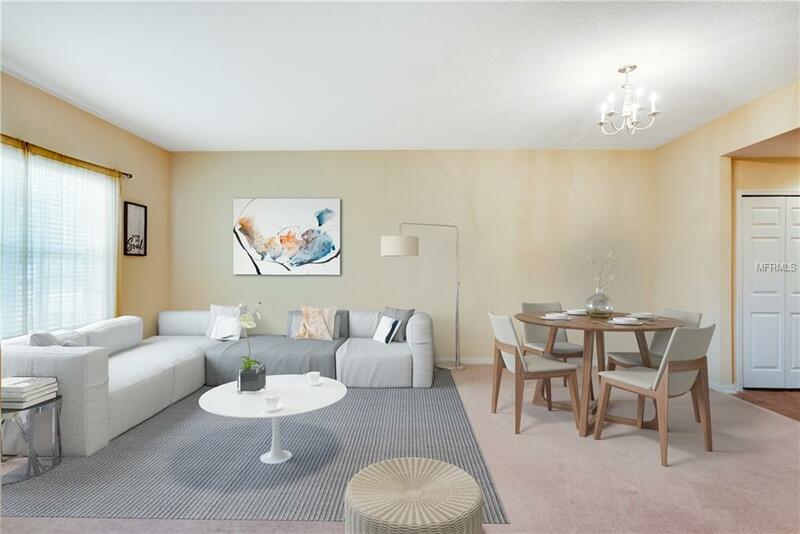 Adjacent to the kitchen is a spacious family room perfect for lounging around or seating friends. A generous living and dining room is also on the first floor which is perfect for hosting guests. A foyer off of the dining room leads to a beautiful covered entry porch, and attached to a spacious garage. Upstairs you will find 5 bedrooms including the Owner's Retreat, which features not one, but two extremely generous walk-in closets, and a large master bath with dual vanity. The second floor also showcases two additional bathrooms, in addition to a large loft area which leaves room for your own personal creativity! Look out into the Pines of the backyard from your screened-covered patio. No backyard neighbors! 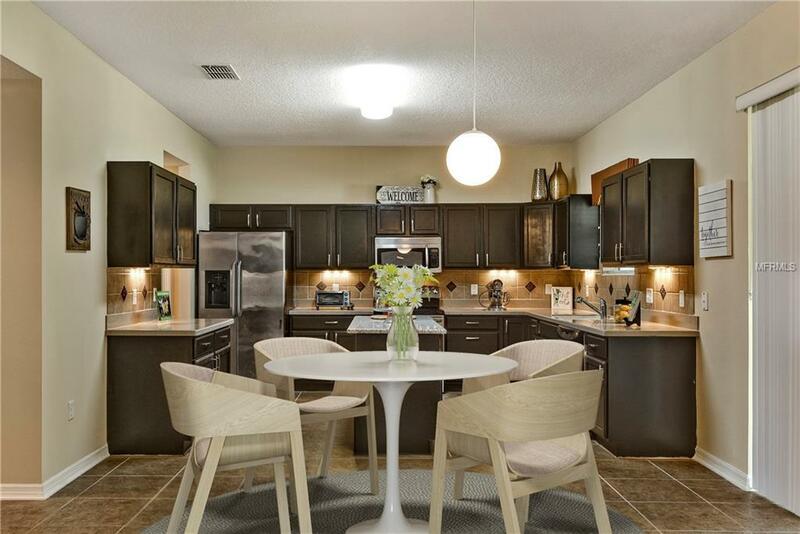 Only 30 minutes from Daytona Beach and 45 mins from Orlando. Home Warranty up to $500. Additional Lease Restrictions Buyer To Contact Hoa For Restrictions And Convenants.